Mexican food is one of my favorite cuisines. 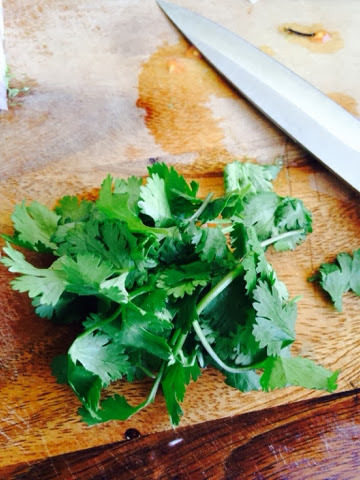 I've also been known to have a hankering for Italian, French, Mediterranean, Asian, Scandinavian...am I naming many of the cuisines known to man..? Well I like food is the point. Since moving to Arizona just over a year ago, I've learned a lot in regards to Mexican food and am always trying new things to make a dish even better than the last time I attempted it. 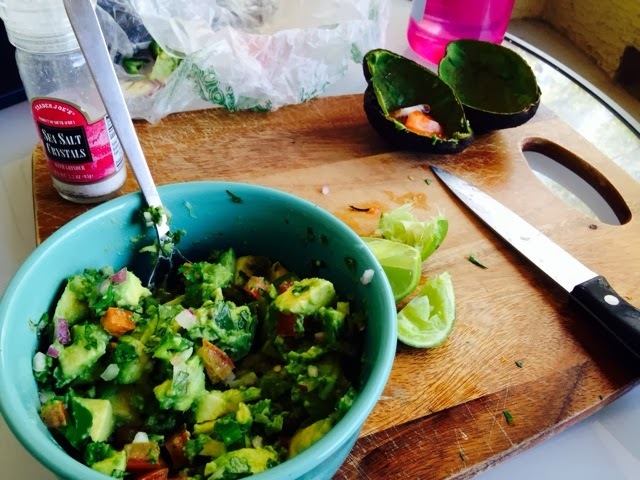 One thing in particular is guacamole. 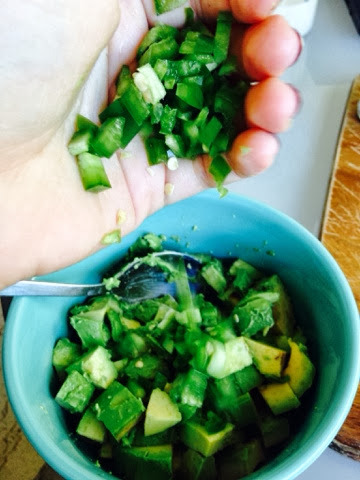 It is so satisfying to take a tortilla chip and dip it ever so ungracefully into a large bowl of this green heaven. 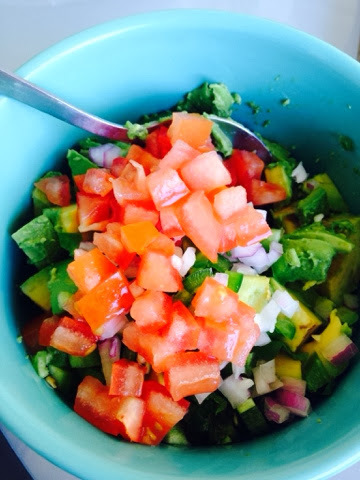 I had made it many different ways in the past, but now I have discovered that keeping it simple is best, hence the name "Honest Guacamole". I'm not trying to hide any of the ingredients. I want them all to show their faces and to share the stage with the avocado. Let's get to it, shall we? 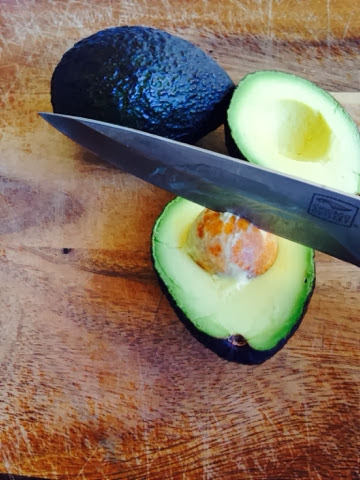 Start by cutting the avocados in half lengthwise and pitting them. 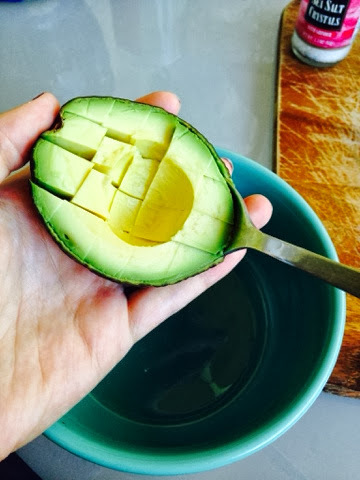 I do this by taking a sharp knife and cutting it into the pit and then twisting. It pops right out. Do be careful though, please! While the "meat" is still in it's skin, I cut it into cubes and then scoop it out and let it tumble right into the bowl. in half lengthwise. I only use half of one, but if you'd like more, be my guest. I take out some of the seeds, but I like a little kick, so I find keeping a few white seeds perfect. 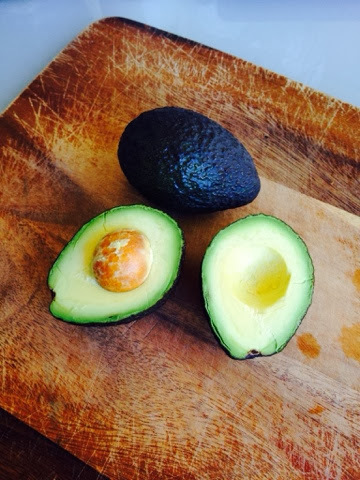 Dice it pretty finely and throw it into the bowl with the avocado so that they can get acquainted. 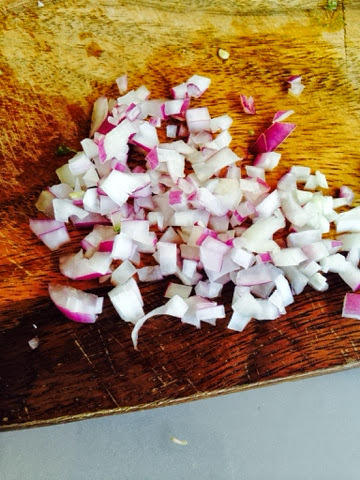 Dice the red onion, and add that to the bowl as well. 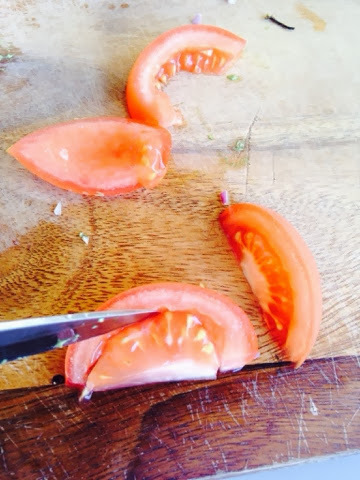 Take half of a tomato and cut it into slivers. Remove the seeds and gooey stuff (that's the technical term). 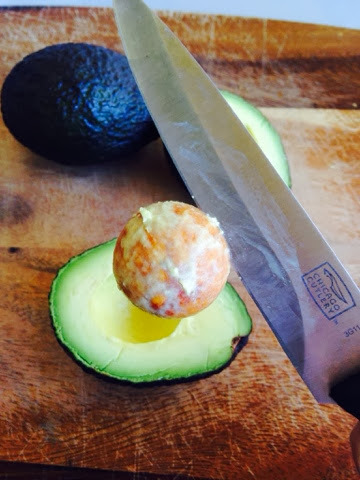 It's really easy to do with a knife or even a spoon. 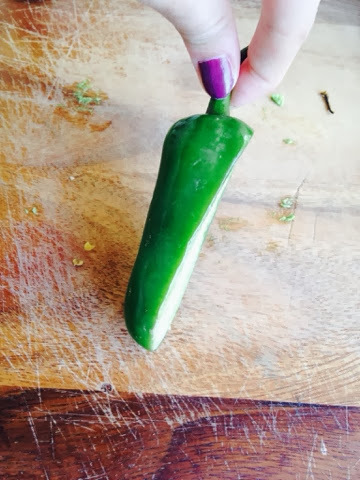 Then dice them up too so that they are about the same size as the jalapeno. 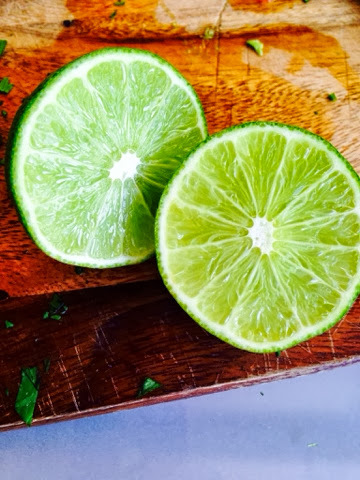 Cut a lime in half and then in half again. This way you can get a better squeeze on it. 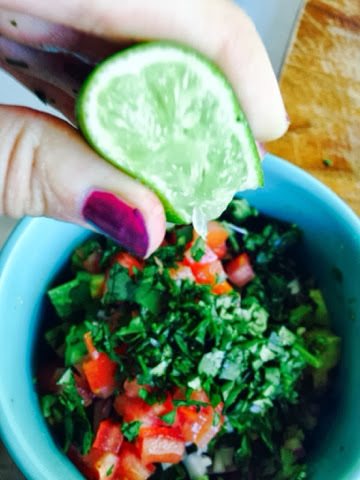 It's all about the squeezing with the lime. You want all of the juice that you can get.
. I don't normally use an entire lime for this amount. I'd say I use at least half, maybe a bit more. 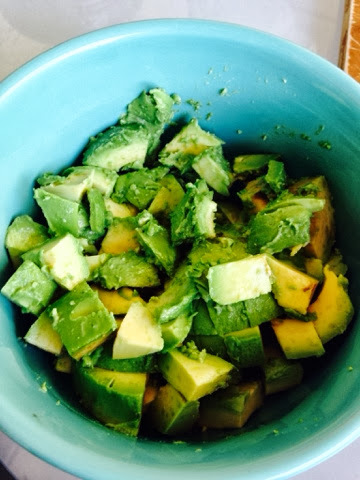 Mix it all together gently, so as to not squish the avocados. 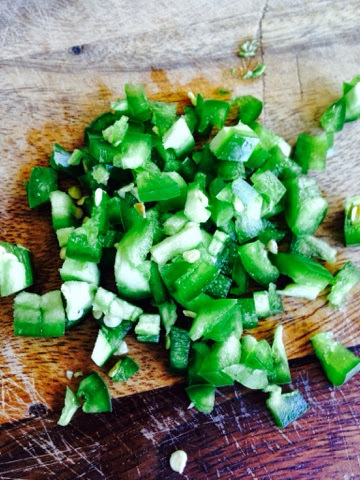 All that's left to do is add some salt, if you'd like, and take your favorite tortilla chip for a ride in the Honest Guacamole. I've been into blue corn tortillas lately. 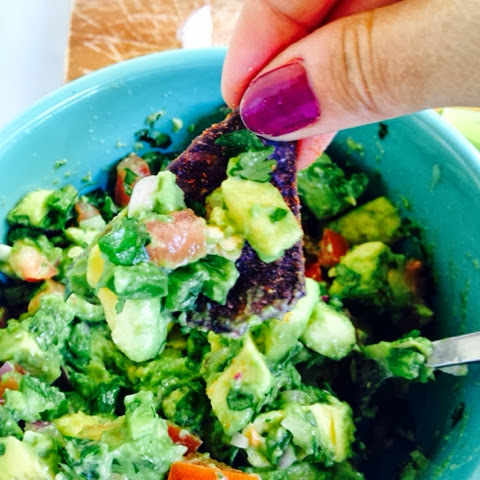 The great thing about guacamole, or any dip really, is that you can make it your own. Play around with the ingredients until it fits your fancy. 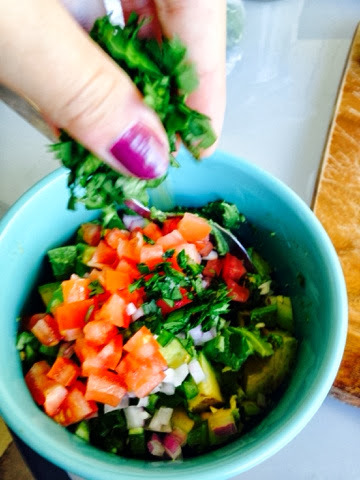 With Mexican food on the mind, I went to a restaurant in Phoenix, known for its tacos. I'll fill you in on all of the delicious, mouth watering details next time.